This model of the Gee Bee Z Super Sportster City of Springfield was built in 1975 for the Museum's opening in 1976. The Granville Brother of Springfield, Massachusetts built the Model Z specifically to win the Thompson Trophy Race in 1930. With a large engine in a small airframe to maximize speed, it won the race despite being difficult to fly. The next year, while trying for a world speed record, the Model Z crashed., killing pilot Lowell Bayles. This model was commissioned in 1975 for the opening of the National Air and Space Museum. 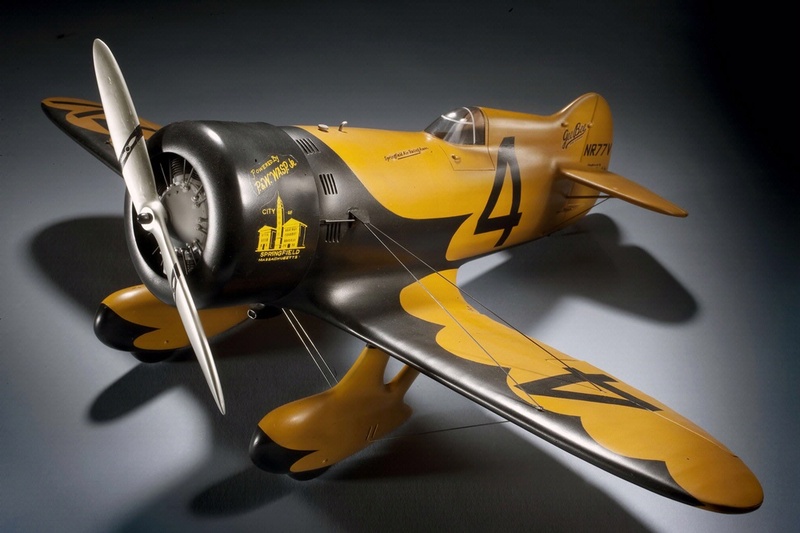 Find out more about Granville Gee Bee Z Super Sportster City of Springfield, 1/16th scale.